“In the broader context of this debate I believe that Aboriginal people are still more concerned about real solutions for Aboriginal and Torres Strait Islander people’s housing, education, health, employment and cultural maintenance, including our lands. For our people, the arrival of Captain Cook and then British Settlement of Australia is a day of dispossession, death and disease. We require a new day of significance to include and celebrate our cultural survival, connection to country, family and kinship. Mr John Singer Chairperson of the National Aboriginal Community Controlled Health Organisation (NACCHO). 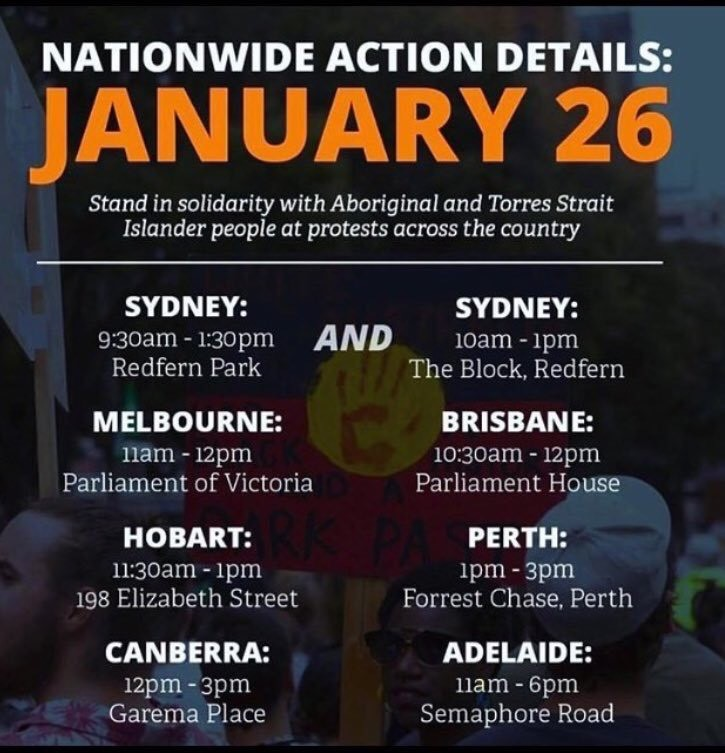 ” The Australian Indigenous Psychologists Association AIPA fully acknowledge and understand that January 26 remains a day of mourning and pain for many Aboriginal and Torres Strait Islander peoples and the need for all of Australia to make important steps towards healing, but that our Governments need to create the space for this to happen. We are calling for an action to discuss this so that we can have a day that is inclusive for all Australians to celebrate this great nation. Tania Dalton and Professor Pat Dudgeon are co-chairs of AIPA, and Tanja Hirvonen is the association’s executive support officer. Not everyone across our nation celebrates Australia Day. I have no doubt that this year on Australia Day thousands of Aboriginal protestors will once again march, wave placards, burn flags and voice our opinions about Invasion Day. Our supporters who wish to change the date are simply dismissed as a group of politically correct, angry, banner waving far-left extremists who hold a minority view about the merits of the national holiday. Rather, they should be acknowledged as holding a different philosophical view about the significance of the day. Across the nation, 26 January is for most people a day of celebration of 230 years of Australian history; not the 60,000 years of Indigenous culture. The last year has been difficult for our people, especially after the rejection by the federal government of the Uluru Statement from the Heart. In a couple of weeks we will gather for the ten-year anniversary of the National Apology. For our people, the arrival of Captain Cook and then British Settlement of Australia is a day of dispossession, death and disease. We require a new day of significance to include and celebrate our cultural survival, connection to country, family and kinship. Modern Australia is made up of peoples from many different cultural backgrounds. We should have our national day to show respect and celebrate this cultural diversity. 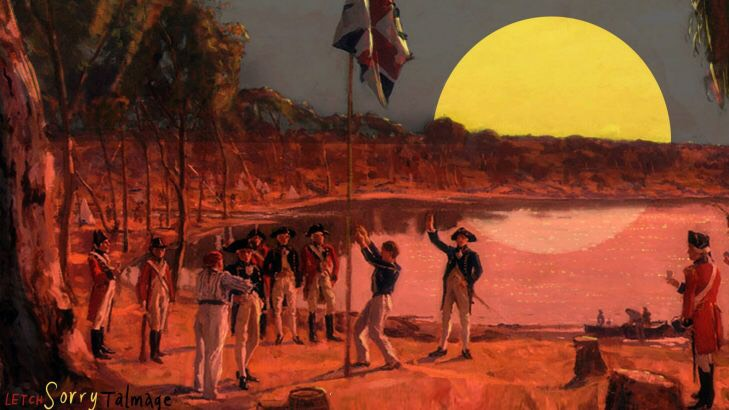 Oddly enough the current Prime Minister and number one ticket holder for an Australian republic wishes to ‘save the day’ and remains very excited about the anniversary of the First Fleet’s arrival in Sydney Harbour in 1788, not far from his harbourside mansion. Turnbull will soon rise in the House of Representatives to parrot a few words of an Indigenous language and inform us of what a great job his department and agencies are doing for us in his Close the Gap report! Remember, he did promise to work WITH us. The pain and suffering of our people is not so easily bought off with a few trinkets and baubles thrown to us. In the broader context of this debate I believe that Aboriginal people are still more concerned about real solutions for Aboriginal and Torres Strait Islander people’s housing, education, health, employment and cultural maintenance, including our lands. 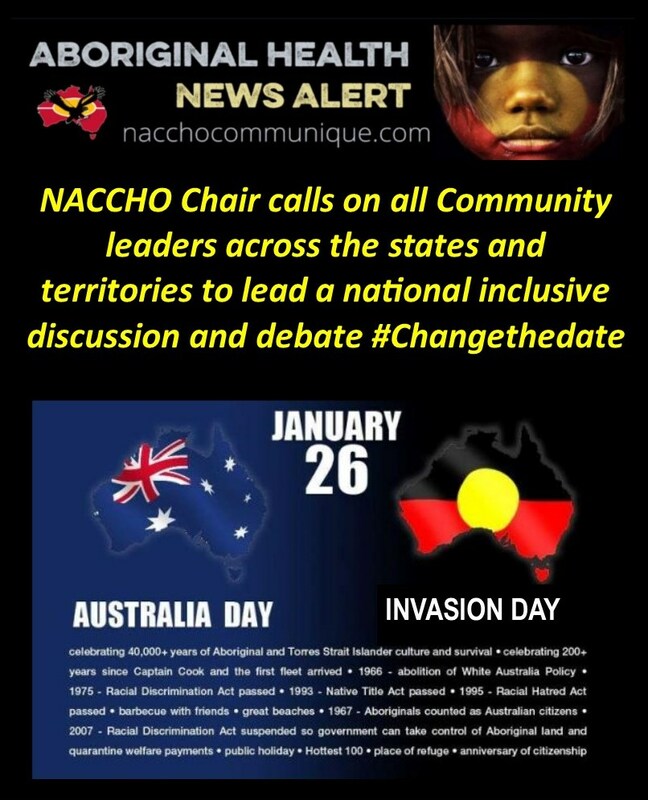 We call on all Community leaders across the states and territories to lead a national inclusive discussion and debate on why we need to change and nominate a new day for modern Australia to truly celebrate our diversity. For many Aboriginal and Torres Strait Islander people and communities, Australia Day can be a day of mixed emotions. The way people feel and their reasons are dependent on their own stories, so therefore there is no right or wrong in this matter. For many, the date of the 26th January represents a day on which people’s ways of life was forever changed and some may term this day, Survival Day or Invasion Day. Others may choose to celebrate that the longest living Indigenous culture has survived for 60,000 years, and others may take pride in their Aboriginal and mixed heritage due to Australia’s vibrant multi-cultural population. Whoever or however Aboriginal Australians choose to commemorate Australia Day, we wish to remind all that in the spirit of reconciliation, AIPA would like to respect the voices of many, and ask Australians to reflect on how we can create a day all Australians can celebrate. In discussions about Australia Day over the past month and year, AIPA have been discussing the meaning with other stakeholders of the date and its significance for people in Australia. Social media commentary has escalated in some areas to levels where it is unreasonable to expect any healthy debate or conversations. AIPA hopes that we walk towards a shared future as all Australians, by having a national conversation about the Australia Day date. Tune in. Tune into your feelings such as anger and distress. Acknowledge these emotions both to yourself and others. Talk about how you are feeling with someone you trust. Take a break. If you feel distressed by the public debate and social media posts consider limiting your feeds to stem the flow of divisive posts or log-off social media. Look after yourself. Help combat tension and fatigue by making time to do things you enjoy. Take care to eat well, stay hydrated, exercise and get good sleep. Channel your energy. Put your energy into positive actions. If you feel passionately about an issue get informed and get involved. Support each other. If you see cyber harassment, bullying or racism don’t ignore it. Report it and offer your support. Connect with others. Connect with your family and friends, this grounds us as community members. Connect with your community. 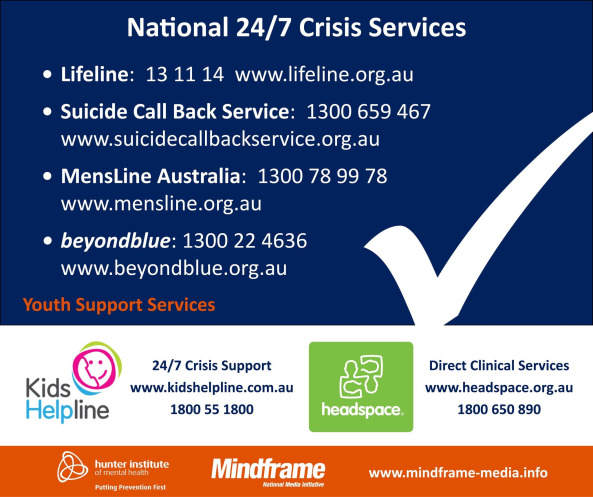 Strong social and emotional wellbeing maintains our wellbeing through connections to body, mind and emotions, spirituality, land, community, families and culture. It’s okay not to talk. If you don’t feel comfortable talking about an issue it’s okay not to.